✿ This listing is for a little giant model 6303 incubator thermometer. ✿ Is attached to a 4.5″ x 4.5″ clear poly sheet for laying on the eggs or for mounting. 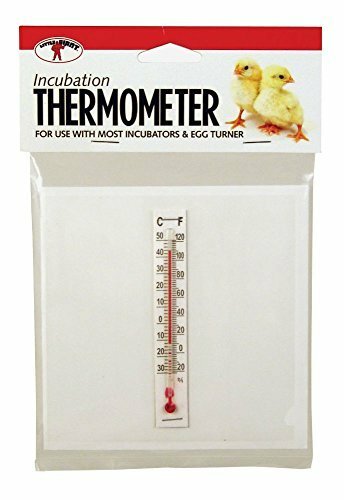 ✿ Thermometer is approximately 4 inches long.